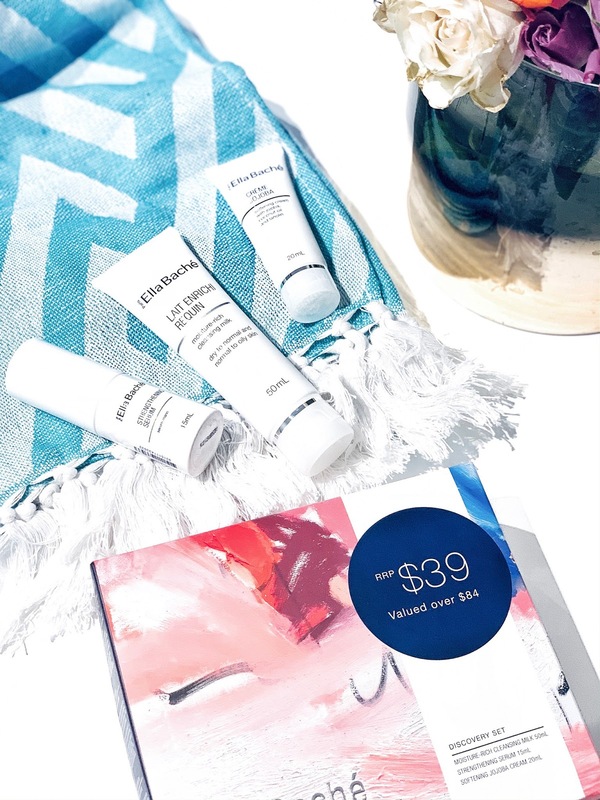 For some new skincare goodies, Ella Bache offers their Discovery Set which RRP $39 (valued at over $84). This set is perfect for the gift giving season especially with Christmas being around the corner. If you're stuck with a budget, this affordable set contains three skincare products that come in perfect travel sizes. They're not too bulky and it would most definitely suit those who are occasionally on the go or busy travelling the world! Moisture Rich Cleansing Milk (50ml) - For Dry to Normal and Normal to Oily skin. This moisture rich cleansing milk looks to cleanse gently and effectively by ridding impurities, dirt and oil on the skin. Your skin is left feeling soft, clean and fresh. Strengthening Serum (15ml) - This algae based serum works to reduce any redness as well as soothe the skin. It's also a great alternative if you happen to suffer from dry and flaky skin which can be caused by dermatitis. Softening Jojoba Cream (20ml) - This softening cream works to leave the skin complexion feeling smoother and softer than ever. Thanks to its jojoba ingredient, it works as a great skin healer. The set is sold exclusively at Ella Bache Salons and David Jones counters. 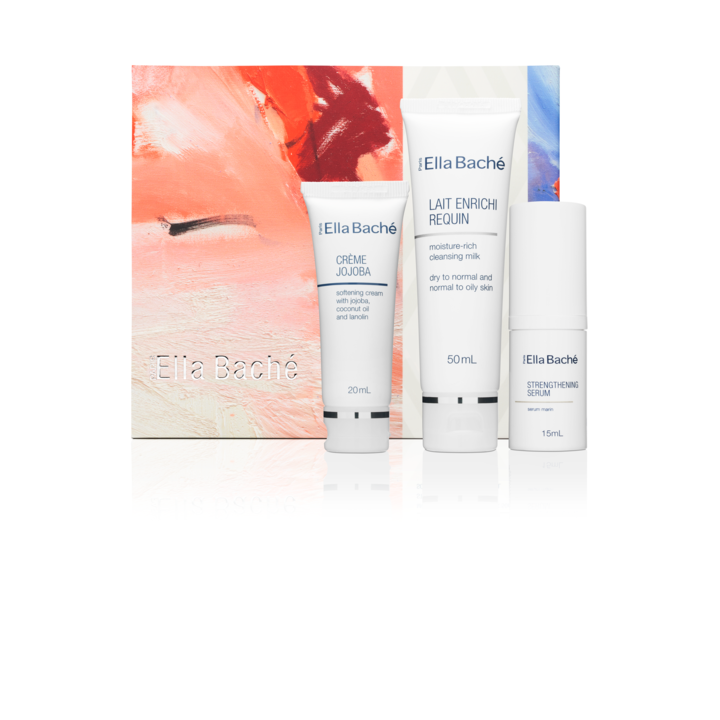 Have you tried out any products by Ella Bache before?